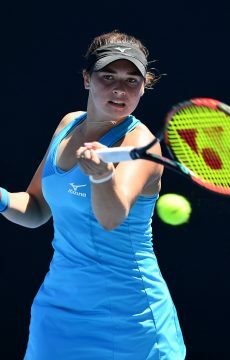 For the second straight Grand Slam event, Australian rising star Jaimee Fourlis has secured a main draw wildcard after winning through a play-off event. 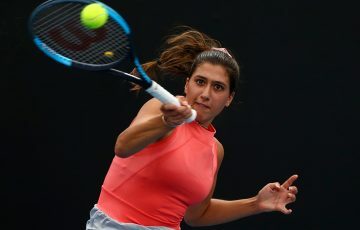 Jaimee Fourlis will contest her second straight Grand Slam event after winning a wildcard into the main draw at Roland Garros. 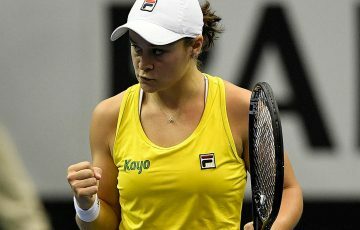 The 17-year-old Victorian produced a commanding performance to beat Isabelle Wallace in the final of the French Open Women’s Wildcard Play-off on Sunday in Paris. 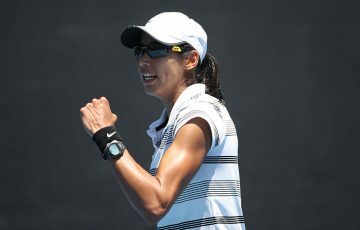 Fourlis, who won the AO Wildcard Play-off in December before advancing to the second round at Australian Open 2017, got past Priscilla Hon, Arina Rodionova and Wallace to secure the prized main draw berth. “It’s an amazing feeling. I’d like to thank Pratty (Nicole Pratt) and everybody for giving me the opportunity to play in the wildcard play-off. And of course winning it is something really special,” Fourlis said after her 6-3 6-1 victory. Fourlis began strongly, taking the opening game with and off-forehand winner and breaking for 3-1 after a fabulous fourth game during which she belted two drive-volley winners and a backhand winner to break to love. She was soon ahead 4-1 thanks to an ace on game point, but here Wallace worked her way back into the match, enjoying a settling service hold in the sixth game and then breaking in the next game when errors began to leak from Fourlis’ racquet. Yet Fourlis regained her composure and cut out the errors, breaking serve for a 5-3 lead and serving out the set following an athletic point that showcased her impressive blend of offence and defence. “I played really well the first couple of games. 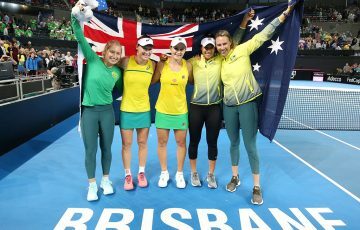 Not really sure how she was feeling but I was of course a little bit nervous, but comfortable because I’d been in the position before down in Melbourne,” Fourlis said. The turning point in the second set game in a thrilling third game which extended to five deuces and during which both players has game- and break-point opportunities. When Fourlis eventually got through it, she didn’t drop another game, streaking to the finish line all the while demonstrating her aggressive shot-making instincts. 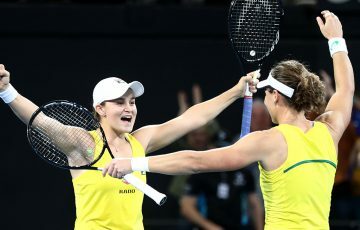 “I thought throughout the whole match that it was going to be tough and she was just going to keep fighting so I just had to stick to my game and play every point 100 per cent,” Fourlis said. “And I think that (third) game was pretty crucial but so was every other game in the match where we both had deuce points and break points. Her attention now turns to the main draw at Roland Garros, for which she has a week to prepare. 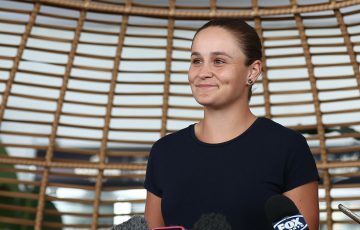 The Aussie said she would take some time to enjoy her victory and explore the sights of Paris before preparing and training for her Roland Garros debut. “I’m super excited (smiling). I’m over the moon. I love clay and love everything about this tournament,” she said.